. . . Spring bargains - give ONLINE a try! . 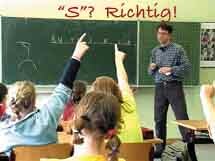 . .
Two Primary German packs cover the QCA Guidelines for KS2 with carefully-planned progression. NEW! 'Learn More German with Songs! by Martina Schwarz - the BEST songbook and CD for Primary German!